Jenny has not updated the personal profile information on this page. Please contact Jenny and make this suggestion! Does anyone have any ideas for biology novels (fiction or non-fiction) that would be interesting to read in reading groups? I am not looking for any one specific topic. Thanks! Hi! I think this is an awesome use for an ipad. I have recently heard of an application called smart microscope lite for the ipad which has virtual slides that you can zoom in on like a microscope. I love this lesson design. I think that this format is engaging to most students who would not normally be interested in Anatomy and Physiology. They may not even understand the inherent connection between the two until a lesson such as this. 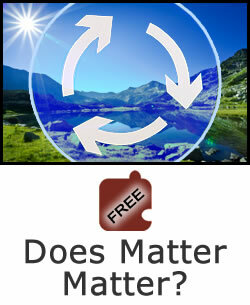 Flow of Matter and Energy in Ecosystems: Does Matter Matter? I thought that this was a little basic and while listening I was uninterested. I has hoped that the "hands-on" experiment which included a materials and procedure would have also included a conclusions section.